Living in Montréal means: you have to escape winter at some point. You need to go and get some warming shafts of sunlight. 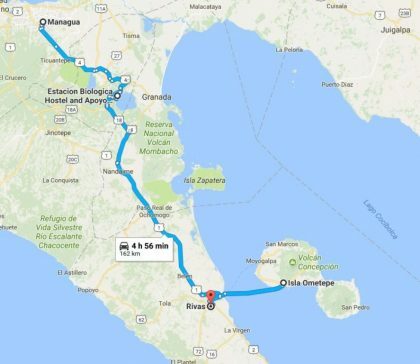 While comb through the internet for a place which offers diversity without being overcrowded, I was soon taken by the idea of flying to Nicaragua. Starting research it soon turned out, that the world wide web doesn’t offer a lot of information about traveling Nicaragua with a toddler and a baby. At least I found enough information on how to travel in Nicaragua, where to go and how we could prepare best. I started to plan on our route. Presented my ideas to my hubby, got his go and booked the flight and our two main accommodations, always making sure I can adjust travel dates. Getting up in the middle of the night to catch the 6am flight, was totally worth it. We were all excited and happy to get out of Montréal to explore a little more of the world. And even the guy at the check in counter of American Airlines must have felt the good vibrations and didn’t charge us for the luggage. So we had a relaxed flight down to Managua/Nicaragua. 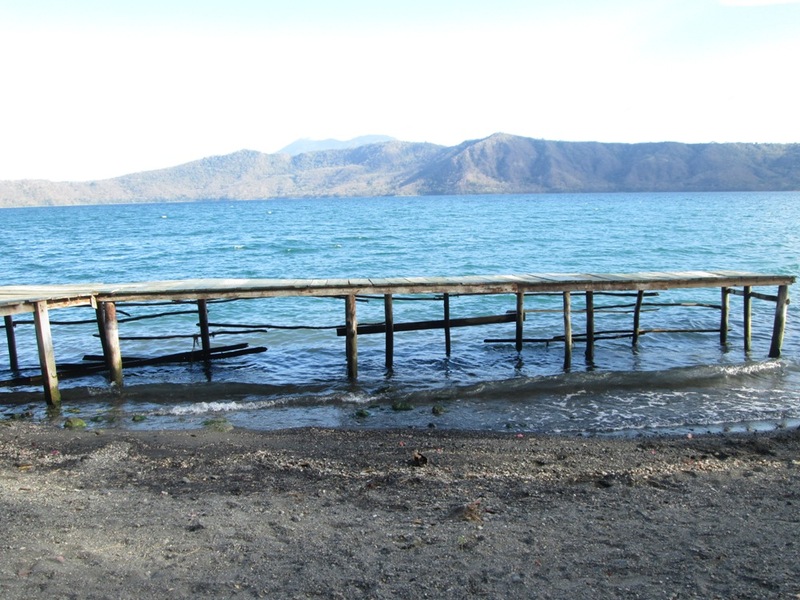 At the airport, which is surprisingly a really small one for a capital, everything went well and our shuttle to our first stop – Estación Biológica at Laguna de Apoyo was already waiting. After a 45min adventurous ride in the back of an old SUV we arrived at our hostel style accommodation. It was simple, but as expected and we felt welcome. For us it was important to be surrounded by nature, to ground ourselves, to get rid of the stress and enjoying us as a family. Knowing the kids will be safe and able to discover nature. We did from the very first beginning. Right a couple of hours after arriving we became witnesses of the release of a cured owl, which was recuperated by the stuff of Estación Biológica and ready to get back in her natural environment. The day ended up with some nice chats and a deep sleep. The next morning we woke up by the sound of a bunch of howler monkeys. I took the chance to join the bird watching tour of the stuff biologist Pablo at 6 am. It was not only awesome to see so many different species. I also was impressed of how knowledgeable Pablo was. 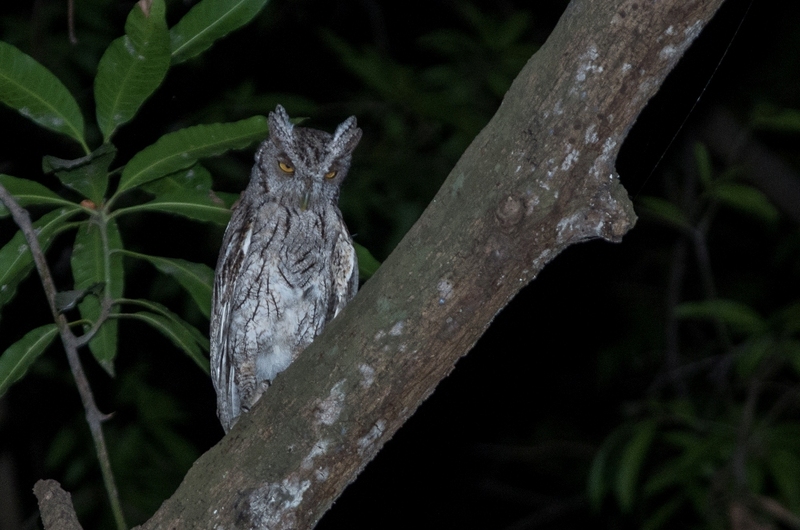 OK it is his job, but anyway it’s not very often you met somebody who knows how many birds of one species are in the tree, just from there singing without seeing them. We walked around about 1,5h and saw at least 3 different types of hummingbirds, I was so excited as I had never seen them in real till then. They are so tiny! Their wings are so fast, that it is almost impossible to get a clear picture. 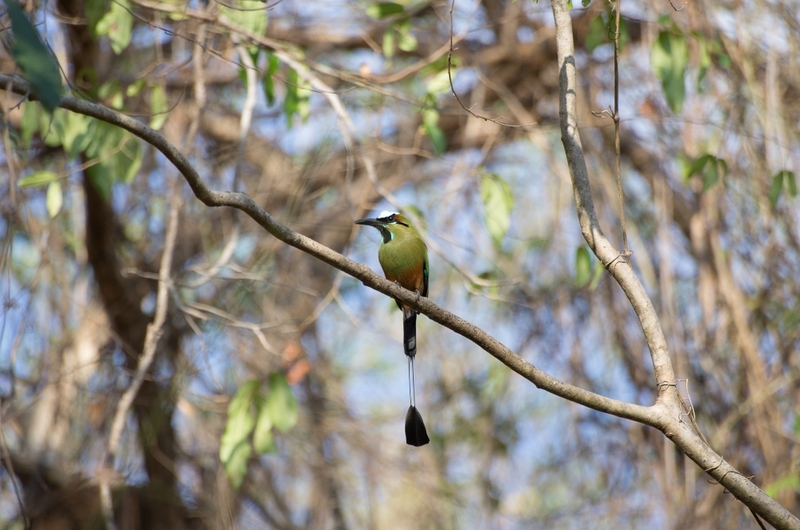 We also got to see the Turquoise-bowed Mot-mot, the so called national bird of Nicaragua. (without any official status) Of course there were many more, but my mommy brain didn’t keep their names. Getting back at „la Estación“, breakfast was ready and so we had our first “gallo pinto“. Which is the most traditional food you can have. It´s rice with red beans and eggs- accompanied by a Nicaraguan coffee, some howler monkey talk and a great view over Laguna de Apoyo. It turned out that our 6 months old adopted herself to the heat by sleeping a lot. Our toddler did not even need an acclimatization. So we took the chance to just hang around, read, taking a bath in the lagoon. Absorbing as many information as possible, about the projects of the Estación Biológica, the area and the development of Nicaragua by squeezing the director Jeffrey McCrary out. We took part at different day- and nighttime activities. I am talking about: tarantula watching, herb tour, visiting the village of Catarina or just exploring the lagoon ourselves by walking around. Doing so, we found a really nice spot to take a bath with a kind of a „better“ beach at „la Abuela“ but watch out. They will charge you using this small beach. They asked $6 US each or consuming for $8US each at their restaurant. Only because of the kids and the heat we did. Most of the area is free and you will find a way down to the beach. What you will not find is a nice sandy one, but once being in the water you will not think about it anymore. Also be aware of not letting your kids unaccompanied enter the water, this is dangerous, as you don’t see if it takes you 2, 3 or 10 meters not to have the ground below your feet. The lagoon is good for kayaking and diving as it has a lot of different fish. The whole lagoon is part of the same titled Nature Reserve, so be conscious that you are in a protected area. At all time you will feel safe, relaxed and grounded. 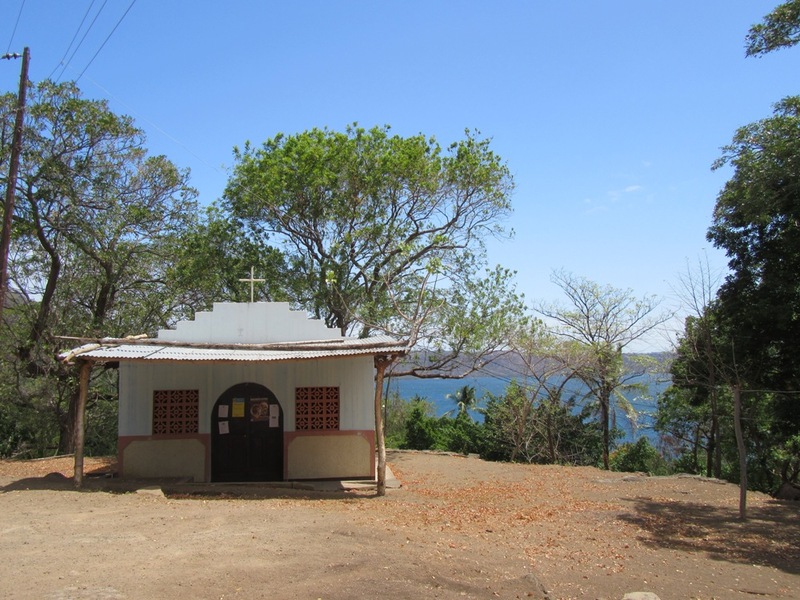 We regret at no point that we choose the Laguna de Apoyo as our first stop, neither we did with the choice of „la Estación“. We had so many nice conversations, learned a lot about nature, the country itself, met great people and had a great base to explore the nearer surroundings. 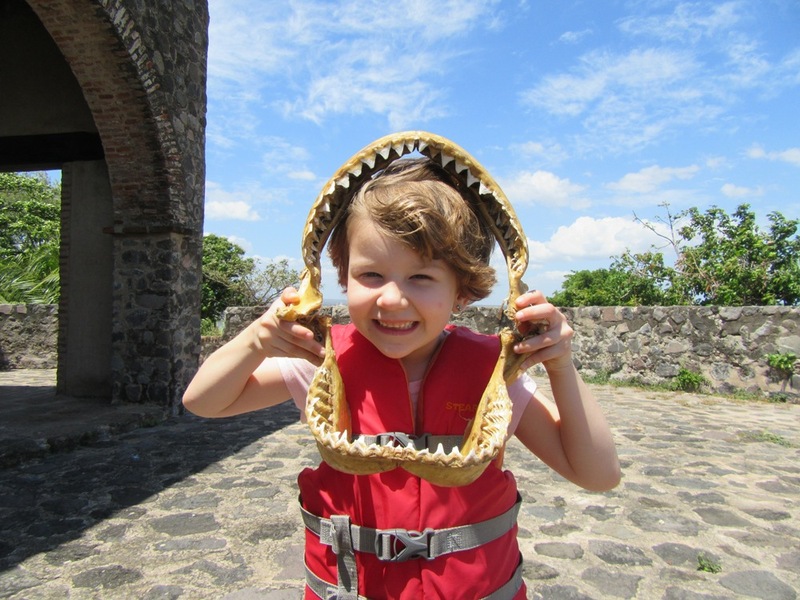 Being that close to two of the hotpots of Nicaragua, we had no chance to escape and went. 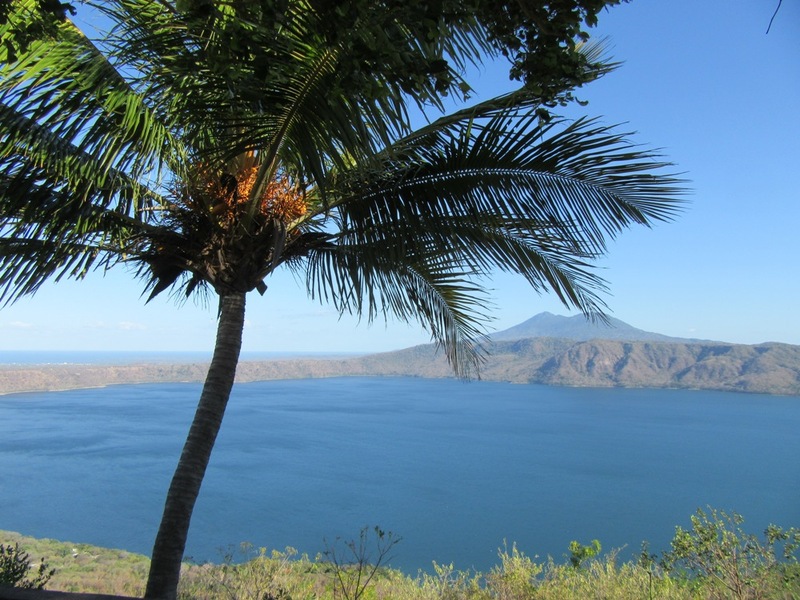 I am talking about Volcano Masaya, which is an active one and the city of Granada. 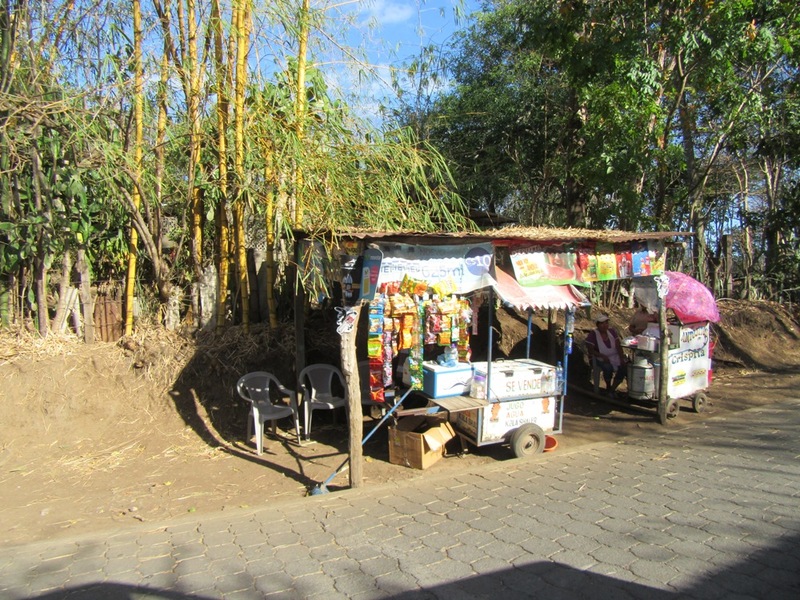 At „la Estación“ they will give you a lift to the National Park of Volcano Masaya for a fixed price, if you wish. Us, the kids and two other guys who stayed their, took our chance to see the lava. We didn’t really know what to expect. We knew we are lucky ones as the park was just reopened that day for the night tour. We arrived on time, which means 45min before they open their gates. But it turned into an ordeal, as it started raining for the second time in that week in dry season! They came around to inform us, that there might be no entrance, if it doesn’t stop raining. Pablo our driver, explained to us, that it can come to uncontrolled mini-gas-explosions while it is raining. Saint Peter heard us and stopped the rain right on time. 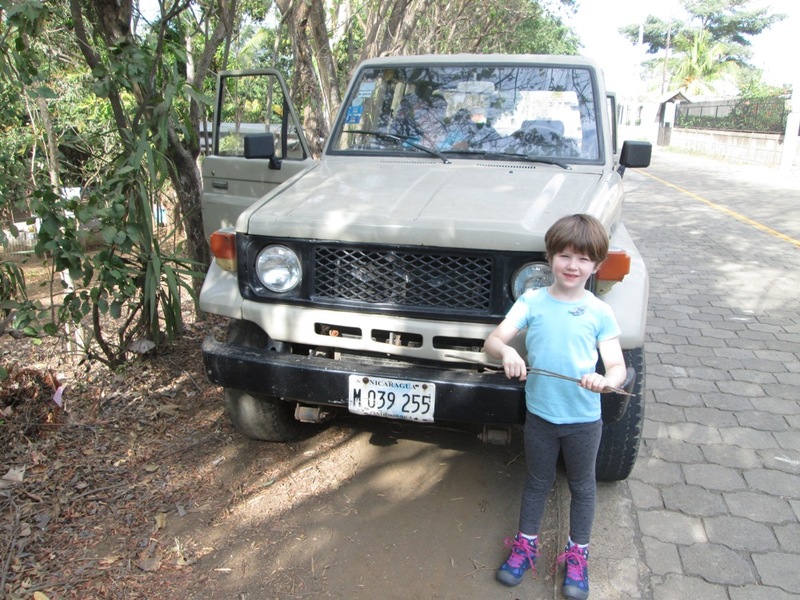 We counted 10 vehicles in front of us, so we knew we should be in the second group to get access to Volcano Masaya. And so it was. We could drive up and look down. 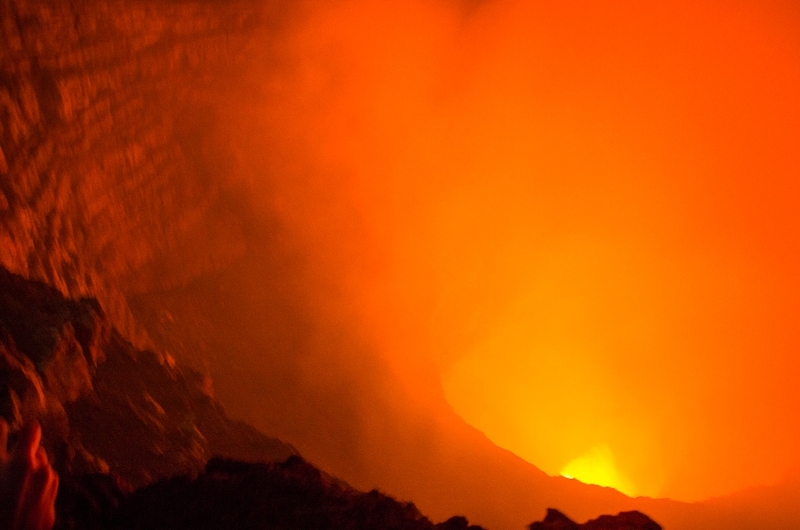 Down into the depth of the volcano, approximately 300 meters and more. Seeing the pulsating mass of the red-hot lava. I can not even find the right words to describe how it was, as it is still a kind of unreal, especially when you know that it was closed a couple of days later again, because of it’s activity! Yes it was totally worth waiting 2 hours and keeping our big princess calm with ice cream and chocolate. But there was still one more highlight to come. It was something I wanted to see – Las Isletas and the city of Granada. So I persuaded my family to go there, as a pre-birthday gift. It took us only 30 min to get there. 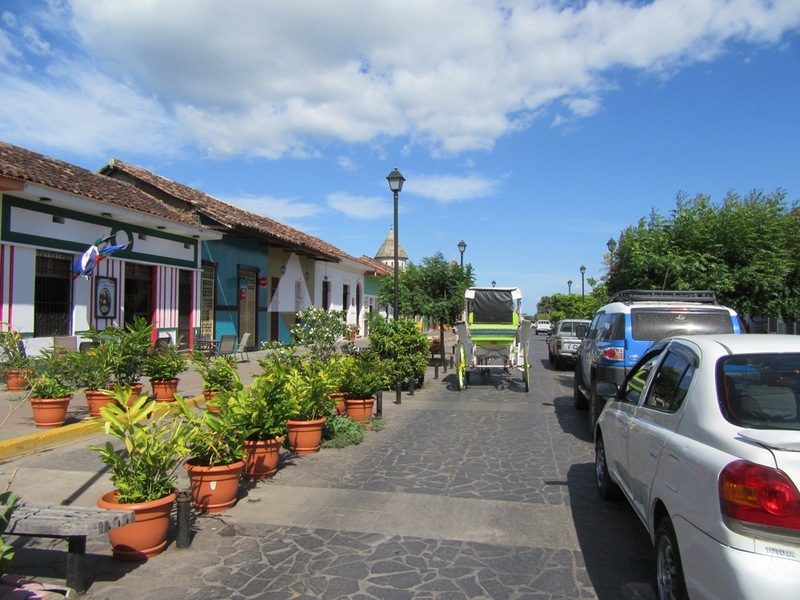 We went straight to the port to book a boat, which took us on the Lake Nicaragua (Lake Cocibolca) to see at least a few of the 365 islands of Las Isletas. The prices are always negotiable! So for $30 we had a 1,5h private tour through the archipelago. We really enjoyed it. The girls did great, as they did the whole trip so far. And we could relax, getting through the islands, observing birds, monkeys and island life. 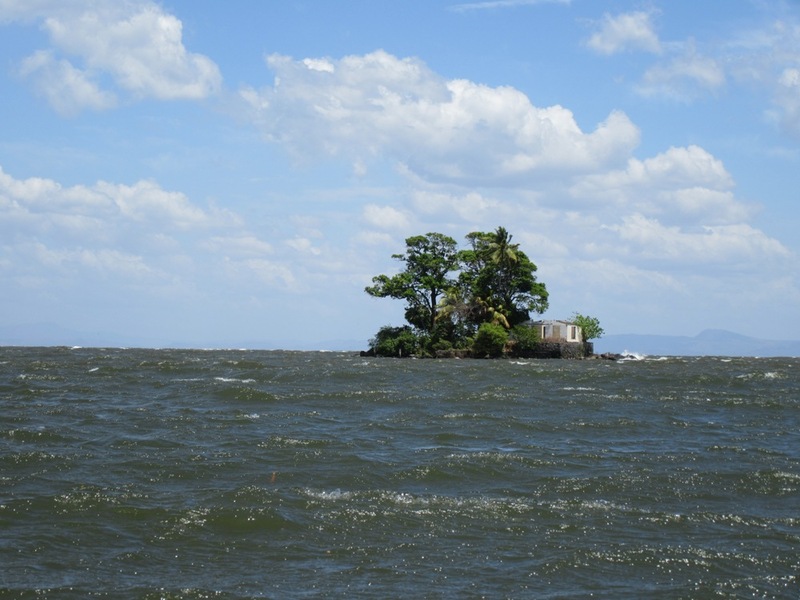 The very peculiar about Las Isletas is, that most of the islands are private and only as big as the houses people built on them. Some are even smaller. A few are free to visit and discover. Ask your captain! Arriving at the port, we went direction “city center“. 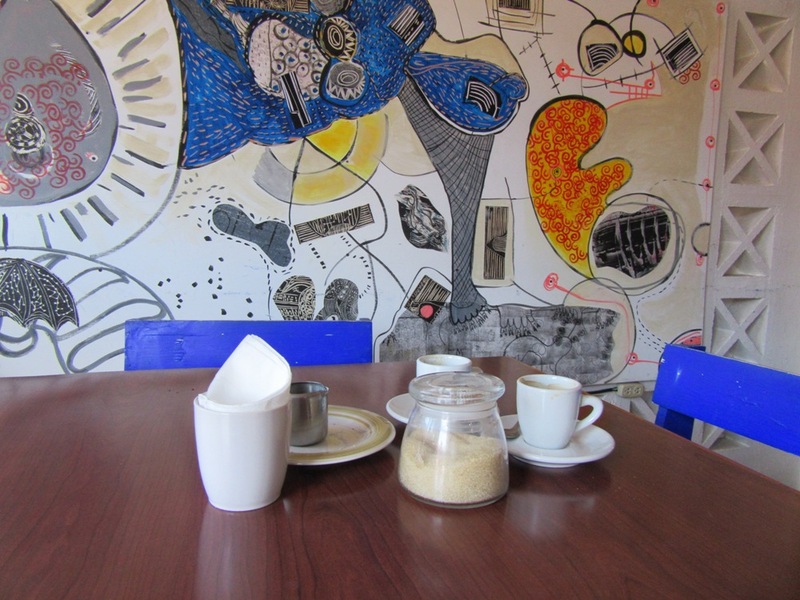 We stopped for a traditional cheese- soup and the best coffee I ever had! I still can feel the taste when I close my eyes. The owner was so friendly and nice, that the big princess also got a piece of chocolate cake for free. Thanks to my mommy brain I don’t remember the name. You will find it on the main street which takes you down to the water. It’s a coffee shop and bakery. We all liked Granada. It is nice and cozy. Has old charming buildings left from the colonial era. It is touristy but not overcrowded at all. It’s great for having a walk, get artisan work of different trades, getting good food, coffee and rum. It’s easy to reach by bus and/or taxi. Don’t miss it out! Studying the map carefully you will have noticed that we headed to Isla Ometepe afterwards.